futurism.com | Mars One Planned to Colonize the Red Planet. Now It’s Bankrupt. 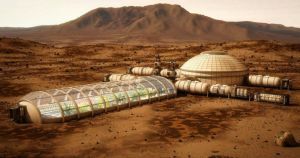 Engadget confirmed the bankruptcy with Mars One Cofounder Bas Lansdorp, who toldthe publication that he was working “to find a solution” to the company’s financial woes — but things don’t sound hopeful for the would-be Mars colonist startup. The post Mars One Planned to Colonize the Red Planet. Now It’s Bankrupt. appeared first on Futurism.